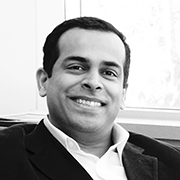 Jeevak Badve, IDSA, is vice president, strategic growth at Sundberg+Ferar, a full-service industrial design studio supporting the product and vehicle industries from its metro Detroit location since 1934. He combines a unique blend of creative design and engineering and business talent to leverage product design’s integration in the client company’s strategic business plan for sustainable growth. Badve innately understands the core creative design and product development process as well as prevailing market dynamics and the strategic placement of the design function in that framework. Badve has more than 17 years of professional industrial design experience, beginning his career with Tata Motors and then on to Tata-Johnson Controls, Remote3D, Tata Elxsi, GM Warren Design Center, ASC and then Sundberg-Ferar. His clients have included Fortune 300 companies such as GM Design, VW, Navistar, IC Bus, Hyundai, Saleen, Monaco, Tata, Coda, IC Bus, Fiat, etc. He often speaks on the intersection of product innovation and business, including at IDSA's International and District Design Conferences; Wards Auto Interiors Conference; Business Innovation Conference; Ross School of Business, CCS, etc. Badve served on IDSA's Board of Directors for four years and chaired several IDSA District Design Conferences. Currently, he is chair of IDSA's International Conference 2017. Badve sits on the Detroit Creative Corridor board and Michigan State University (MSU) Executive MBA Alumni Board. He completed his executive MBA studies from MSU's Eli Broad Business School; a master’s in industrial design from IIT-Powaii; and a bachelor’s in mechanical engineering from Pune University, India. He lives in Rochester Hills, Mi, a northern suburb of Detroit, with his wife and two notoriously curious kids. He loves flying kites, kayaking and backpacking in the wild.